Why Is This Native Wildflower Neglected? 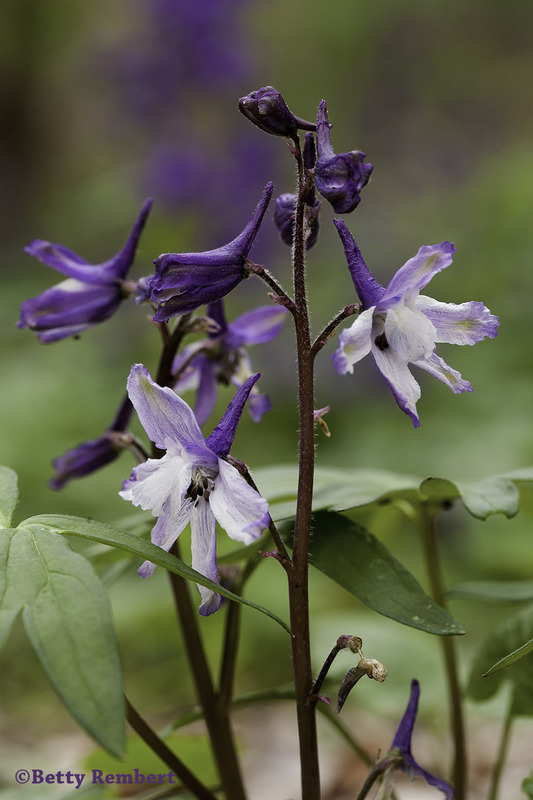 Images of the trout lily, trillium or ladyslipper and others are common spring subjects for local photographers but the dwarf larkspur seems strangely neglected. It is difficult to capture without background clutter and the color is a challenge to reproduce on film or digitally, or on a monitor or print (the deep blue is often “out-of-gamut”). But a challenge is often the impetus that gets the juices flowing and more attempts. Is it not widespread in the County? Betty did an excellent job here, with a pleasing background and sharp focus, with most of the stem and blossom in the plane of focus. She used a gray card to help set the color balance on a cloudy day. Below is a cropped version of the above showing more of the delicate detail. This entry was posted in Ashe County, Flowers, Nature and tagged Betty Rembert, Canon on May 10, 2013 by GAR. the fresh rain had rejuvenated some fragment of precarious existence. attention. Thank you Betty & George for the combination!! 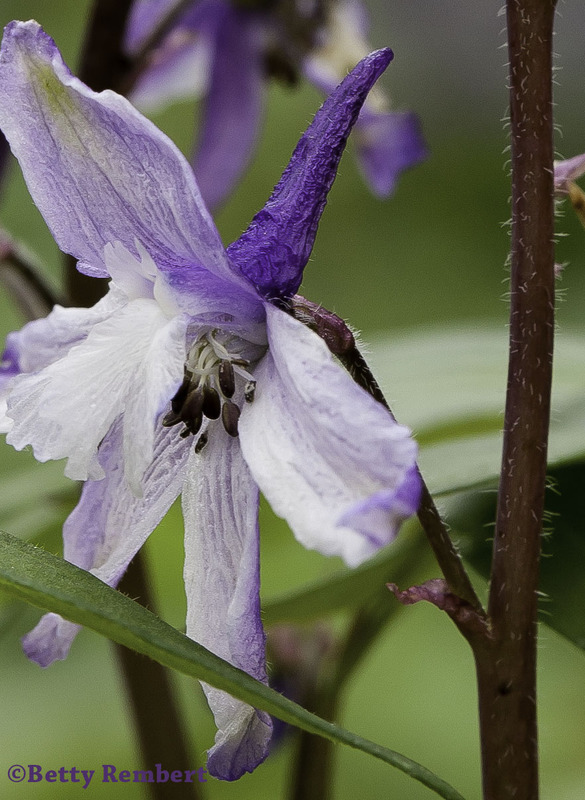 Beautiful picture…..Betty., I didnt’ see this flower often. I like the color and shape, it’s look like witch’hat . this is one of my favorite color. Lovely…I don’t think I see them around much either…and I know what you mean about blues and purples reproducing. Larkspur is uncommon. Beautiful, but uncommon.